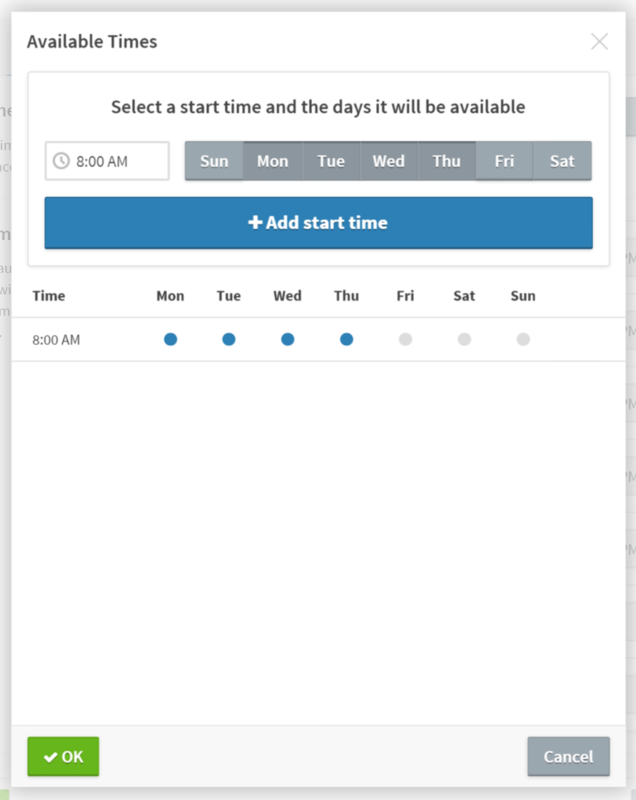 Scheduling Mode controls how available appointment start times will be displayed to clients on the booking module. There are two different options for Scheduling Mode: Automatic and Manual. Automatic mode determines available times automatically, based on the Staff/Calendar's existing schedule, time slot interval, and other settings (recommended). Manual mode only allows times that have been manually added to be available for scheduling, and only if they are within the Staff/Calendar's set Appointment Hours. If you want to set a Staff/Calendar's available appointment times manually, rather than having them automatically determined by our system, you need to set that Staff/Calendar's scheduling mode to Manual. Click on Manage in the top menu. Click on a Staff/Calendar in the list. In the Scheduling Mode section, click the Manual button to toggle on Manual scheduling mode and toggle off Automatic. Then click the Add start times button. Select a start time for the time slot, and select the day(s) of the week the start time will be available. 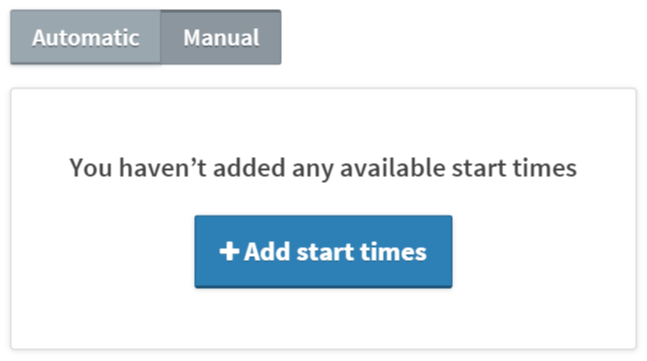 Then, click Add start time to add the time to the list and make it available for scheduling.